Home > Blog > Health Conditions > Can You Prevent Dog Dementia? What about the development of a fear of loud noises and nervousness, anxiety and cognitive loss of memory? This is the picture of what many might think is the normal aging process. In truth, dog dementia is the result of toxicity and injury to the brain, of oxidation damage, of chronic inflammation. Dementia is not a normal part of aging. It’s diagnosed in people all over the world; a new case is discovered every 3 seconds. The stats for Alzheimer’s, which is one type of dementia, are worse, with a case diagnosed in the US every second. It’s a very common health condition. And our dogs can develop dog dementia too. Let’s have a look at some of the precursors to the disease. Chronic inflammation is the primary cause of damage to the brain and there are several causes of chronic inflammation. Vaccines can cause chronic inflammation by deregulating the immune system and replacing a healthy cell-mediated response with a very unhealthy, chronically inflamed humoral hyperpolarized immune system. If this happens, the chronic inflammation can result in a cycle of chronic disease, including neuroinflammation. Traumatic brain injury from micro-bleeds or mini-strokes can occur after vaccination. Both of these initiate a proinflammatory response. That’s the precursor to autoimmune disease. The blood from these bleeds is toxic to the neurons and kills brain cells. This damage changes the release of neurotransmitters and endogenous hormones leading to endocrine diseases. To avoid this, avoid unsafe and unnecessary vaccinations. Pharmaceuticals are another cause of inflammation. Immunologist Dr Tetayana Obukhanyuk has identified the list of critical nutrients necessary to allow the innate immune system to operate and yet prescription drugs often cause depletion of these critical nutrients that prevent oxidation. And, as if the critical nutrient depleting properties weren’t enough, drugs have a notorious reputation for being full of aluminum. Research in 2017 from Dr Chris Exley shows the link between Alzheimer’s patients and aluminum in the brain. His work is critical in showing the influence that aluminum has on chronic inflammation. Aluminum gets into the body and finds its way to the hippocampus. The hippocampus is the part of the brain that’s involved in forming, organizing and storing memories. It’s a limbic system structure that is particularly important in connecting emotions and senses such as smell and sound to memories. Aluminum can injure the hippocampus and impact how it functions. Processed foods are highly inflammatory. Feeding starches, carbs and sugars results in inflammation. These foods have been highlighted as a substantial precursor to neuroinflammation. They lack the very important fresh live foods with probiotics and enzymes necessary for healthy living. Processed foods can also come with their own serving of heavy metals, genetically modified organisms, pesticides and glyphosate, all of which are inflammatory. “Fortifying” these dead foods with synthetic vitamins and minerals doesn’t help as this promotes inflammation as badly as (or worse than) the pharmaceutical drugs. 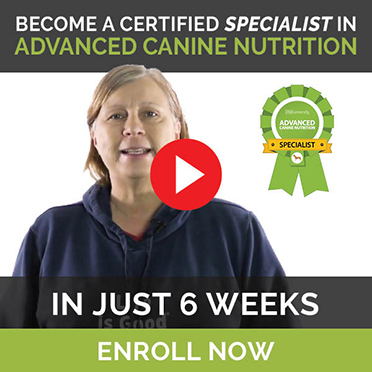 [RELATED] A fresh, balanced, whole food diet, one that isn’t processed, is the best source of nutrition for your dog. Environmental toxins are another path to dementia. Heavy metals can cause inflammation. Heavy metals are also in our water and I’ve written before about the need for a good filtering system. Chemicals also come from the air, where geoengineering chemtrails are being sprayed. These environmental toxins corrupt the enzymes in the body and upregulate the genome to cause allergies, asthma, atopy, anaphylaxis, eczema and all manner of inflammation. Once this inflammation is generated it’s not limited to the brain. The gut and the skin become inflamed and “leaky.” Once this happens, further inflammation takes place and then inflammatory cytokines (proteins that regulate the immune response) make the condition even worse. Environmental toxins like endocrine disrupting chemicals (EDCs) and mold also contribute to stress, another important factor. [RELATED] Many of these environmental toxins are linked to other chronic illnesses. 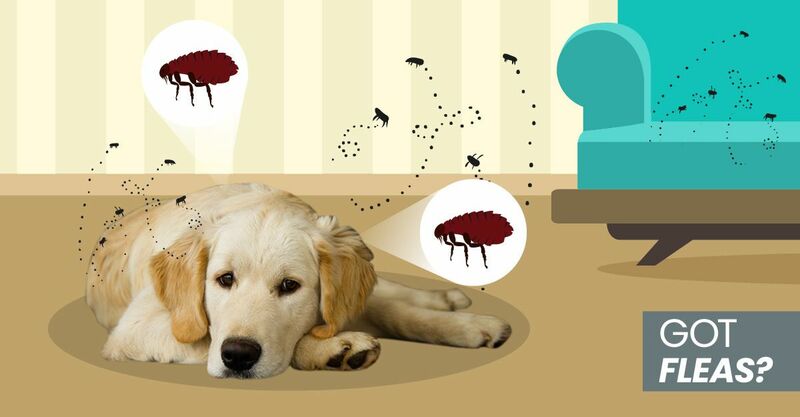 Here’s how to clear them out of your dog’s environment. Stress is another big driver of inflammation. The hippocampus has the most cortisol receptors of all the organs and stress causes the production of cortisol. The result is shrinkage of the hippocampus, causing memory and cognition deficits and dementia. Preserving the hippocampus is imperative and so, therefore, is stress management. Exercise and meditation are two of the best ways to counteract stress – and yes, your dog will benefit from your time meditating. Many people experience stress so badly that they’re in constant sympathetic overdrive – in fight-or-flight mode. When you’re in that mode, the body is unable to heal. Animals take on the same emotional energetic states of their owners, so you can help your dog by managing your own stress. [RELATED] The healthier you become emotionally, mentally, spiritually and physically, the healthier your dog will become too. The body’s threat system can also become engaged due to environmental toxins like molds or EDCs. Plastics, body care products and cleaning products contain those cheap, toxic, carcinogenic chemicals that have now flooded our environment. EDCs in these products are putting our bodies under threat of imminent attack and the result is a cycle of chronic inflammation and sympathetic overdrive. Mold is an issue because our bodies lose the ability to detox. I could go on and on about how all of these toxins are responsible for the increase in the diseases we have now (including dementia). I could talk about how the brain’s restful sleep cycle is being compromised or how gene repair is disabled due to this lack of sleep. How heavy metals like mercury destroy neurons in the brain and cause the microglia cells to be unable to remove those inflammatory cytokines and amyloid plaques from the brain. Or how aluminum has single-handedly opened up the blood-brain barrier and ushered into the brain neurotropic viruses … even viruses that contaminate vaccines. It’s undeniable that all of these things are problematic and pose significant risk to our dogs. So, let me tell you how to reverse the situation and at least recognize what is actually happening. If you’re concerned about dog dementia, there are some additional things you can do to improve organ function and reduce the risk. Live a life of detoxification: get the lead, mercury, aluminum and cadmium out – and test your dog. CWC labs can do heavy metal testing using toenail clippings, which is the most accurate method of testing heavy metals in humans and dogs. Dr Dietrich Klinghardt has developed detoxification methods; find a veterinarian who follows his methods to properly detox heavy metals. There are healthy dietary supplements to increase the critical nutrition in a diet. Even wonderful fresh whole food diets can usually benefit from whole food green powder supplements. Buy clean certified organic products that are certified as glyphosate residue free. Feed a source of DHA (docosahexaenoic acid) to nourish the brain. I personally recommend giving wild Alaskan red sockeye salmon oil. It’s red because it’s loaded with astaxanthin, a powerful antioxidant that can counter the oxidative damage that leads to dementia. This is the only fish oil I recommend. A rich source of biodynamic vegetables for the phytonutrients is also a good idea. Make sure the pathways of elimination are open: the liver, the kidneys, the gut and the lungs. The organs of detoxification must be drained and cleaned out, then tonified to get that toxicity out. Get out in nature with your dog, breathe and exercise! Your dog also needs restorative sleep, enough exercise, stress control and to do things that make him happy. But you absolutely must not just clean up your dog (and yourself). You must clean up the environment and not reintroduce the toxicity. Knowing that if you’re affected, you’re affecting your companion should be all you need to start the process today – for both of you!